Kevin Sheehan and his fiancée, Brenna Wiberg recently returned from a fabulous trip to Turneffe Island Resort the week of April 9 – 16, 2011. Kevin fished with veteran Turneffe guide Clinton Wade (a.k.a. 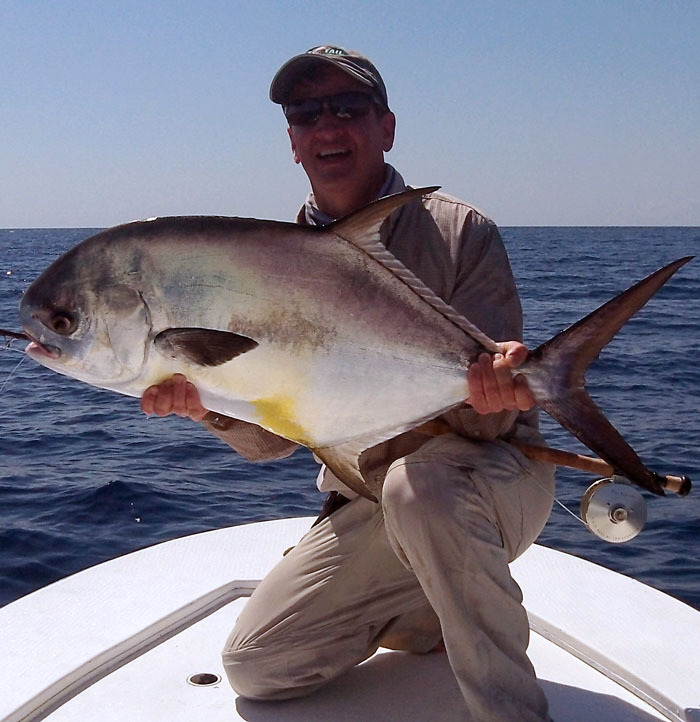 KP), and landed 4 out of 6 permit hooked, including the beautiful 30 pounder pictured here! 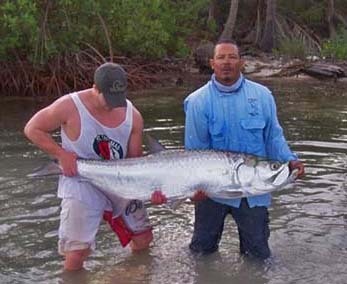 Despite it still being early for tarpon on the Turneffe Atoll, KP managed to get Kevin into about a half dozen tarpon up to 80 pounds (he landed 3 including one to fill out a Grand Slam!). 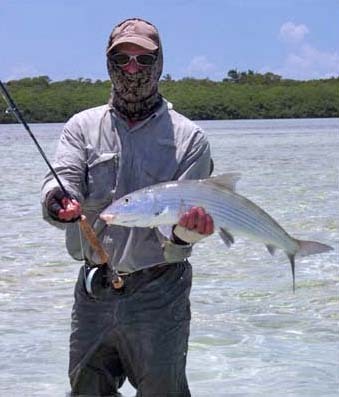 Kevin spent some time chasing the bones, landing a bunch up to around 7 pounds, and devoted time to coaching Brenna (previously a non-fisherperson) into her first bonefish! (She fishes now!). AND, Kevin was perhaps most excited about seeing and hooking, not 1, not 2, but 3 of the extremely rare Turneffe Golden Bones (more on these guys in a future post). Only a handful of these are landed every year, and Kevin has vowed to get one on his next trip (which they’ve already booked – their honeymoon in 2012!). Turneffe Island Resort is located on the remote Cay Bokel on the southern end of the Turneffe Atoll, which is a 2-hour boat ride from the Belize mainland. Click here for more information on Turneffe Island Resort.